You're planning the BIG DAY but have you thought about one of the most important things - your best friend, your companion, your dog. How does he fit in, can he take part, and who could you ask to take this responsibility plus attend and enjoy your Wedding day. K9 Health Centre is a centre dedicated to your pet. On a normal day we provide rehabilitation with our Hydrotherapy Suite, tailored exercise programmes with our specially designed treadmills and doggie gym, dog grooming and general pampering, safe, insured and reliable transportation and a great fun day dog care facility. It goes without saying that we know our dogs and they are in the very best of hands at our Centre. Established in 2006, we have grown and developed to meet the needs of our Clients and their owners. 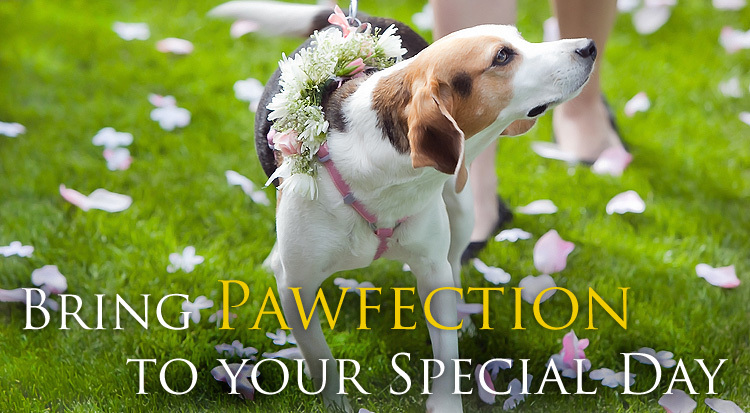 Our new service K9 Wedding Guests, allows your loved one to play a part in your special day. Whether to arrive just for the photographs or to join in the whole experience, we can ensure you can have your best friend as part of your Wedding Day without the responsibility or worry. After all your beloved pet is just one more way to show your guests who you are as a couple and for many of us, they are such a huge part of your family that you can't imagine not having them there. 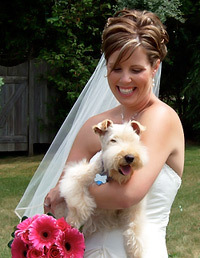 Our services include collecting your pet and pampering him as much as the bride! We will give him plenty of exercise the day of the wedding: A tired dog is typically a happy dog and less likely to be unpredictable. Then onto a Spa, Nails and Groom. 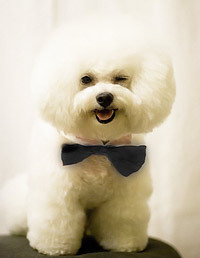 It goes without saying, that grooming is a must for a wedding worthy pup, but we don't just stop there. We can have your florist create a leash made of flowers, give him a Wedding bow tie or even a full Wedding Day outfit depending on your preference. We are also on hand to be in charge of feeding, walking and just taking care of your dogs needs. We will continue to look after your pet during and after the Ceremony or we can just return him to your home or hotel room and can even check in on him throughout the evening if you want to keep him close. The reception might be a little much for your pup to handle!